As you well know by now, one of my recommendations during the slow season is to go through your space and renovate. Walk from room to room and try to see it through your guests’ eyes. Get a sense of the battle wounds from the high season, and get everything ready to do battle again. Because the busy season will be coming right around the corner. 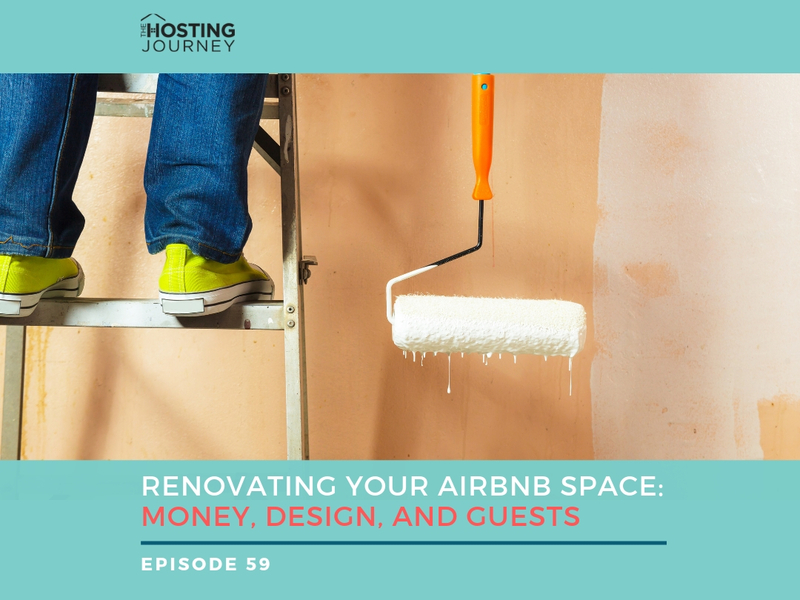 In today’s episode, “Renovating Your Airbnb Space: Money, Design, and Guests” I’m going to talk about how to plan out the projects to tackle, how to get them done, how to work around guests, and very little about design. Practicality vs Design: Who Wins? Dear hosts, I’m not a designer and I don’t play one on TV or here on the podcast. Nonetheless, I can spot good design when I see it, and I appreciate it. What I find important now more than ever is figuring how to design your space so it’s practical, functional, and safe for guests. I’m blessed (and I know it) with a friend who is an interior designer. For the most part, I love his ideas. Every now and then, there are some things that we battle over. Yes, he goes for beauty, I go for practicality. He brings a piece of art and I’m all, that’s going to be hard to clean. A TV in the bedroom, I say a big NO. bedrooms are for sleeping, reading and… Other things. Will this work with guests? And most important, is this financially worth it? 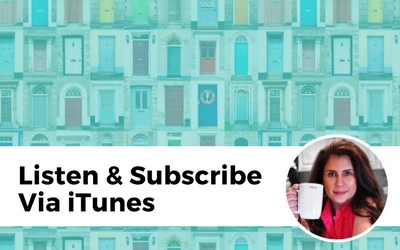 I spoke about this with Flint Gardner, on Episode 52 Numbers that Matter: Is that Welcome Basket Worth It?, who started his own Airbnb without spending a dime. 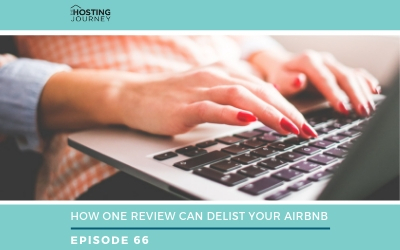 I’m serious hosts you need to listen to this episode, Flint started with an air mattress, and every time he upgrades and makes a new purchase, he first makes sure it will improve his reviews and/or increase his rates. One of the reasons for today’s episode is that I just did a consultation in this beautiful home here in New York. 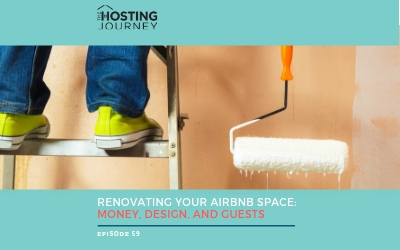 The hosts have done amazing construction work, and the place is listed and making money… but they were wondering if they were missing out on anything and if they could increase their price and profits by doing some renovations. My answer was yes. There were some lost opportunities. For example, they had this spa bathroom with a rain shower and a soaking tub, but nothing in the bathroom felt spa-like. The bathmat was stained, there were no extra, fluffy, thick white towels, perfectly folded nothing on the shelves like bath salts or bubbles for a soothing soak in the tub. If you have this kind of amazing feature that can provide experience and great reviews, you definitely want to utilize it. 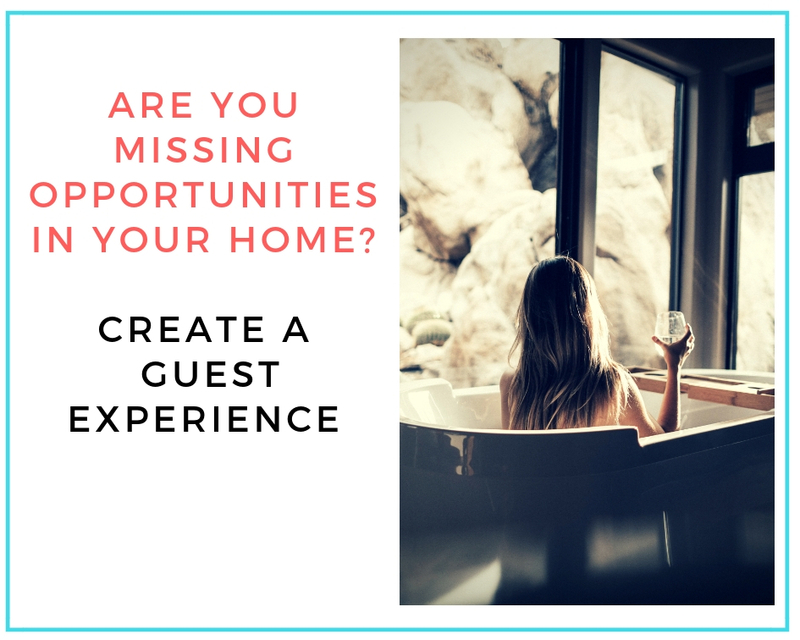 One of the hardest things for us hosts to do is to see our home or vacation rental as a guest. I get it. It’s our home, and then we start to wonder…Do I really need to buy… a hairdryer, washcloths, a luggage rack, and an iron? I keep adding to the list of essential items. 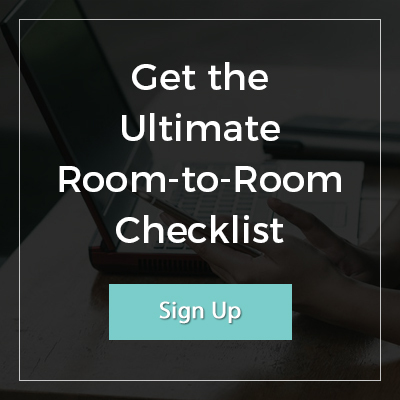 Are you making sure to follow the list for your guests to have the ultimate vacation experience? I was setting up a new Airbnb with a client, and we were in the middle of Target, getting everything for this 3-bedroom home. And I mean everything: pots, dishes, wastebaskets, sheets (you know me and my love for Threshold sheets). When I picked up a hair dryer and placed it in the cart, she took it back out. I was all, “Do you want to get another brand?” Nope, she didn’t want to get a hair dryer for her guests. Her thinking was… It’s a beach house, I don’t use one, and I’m not getting one. I’m trying to convince her, letting her know, this isn’t for you, it’s for your guests. We’re spending thousands of dollars setting up this space, and you’re debating me on a $30 dollar item? I’ll gift it to you as a housewarming gift. Nope, she didn’t want it. You should see me trying to chase her with the overflowing carts and the hairdryer in my hand. And she was adamant about not wanting the poor hair dryer. I don’t know what a hair dryer has done to her. There are lots of items on the list that you may not personally use. 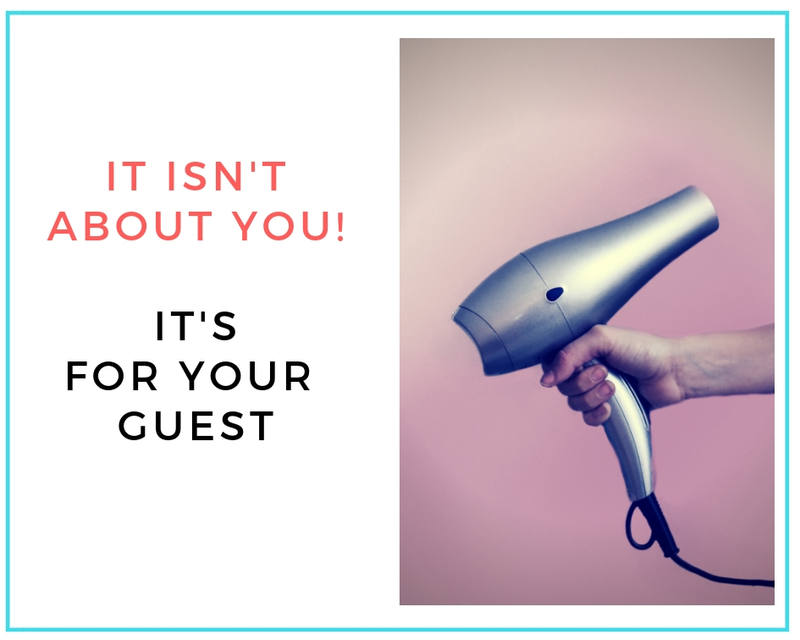 You might not use a hair dryer, an iron, or washcloth, but the important thing is that your guest might. And even if they don’t, they will definitely appreciate the gesture. I’m not suggesting you get everything under the sun. I just had a guest ask me for a flat iron. I don’t provide one, but I do have a hairdryer and I let her know. I wasn’t about to go to the store and buy a flat iron for her. There is a limit to what you need to get for your guest. If they can’t live without it, chances are your guest will bring it with them. If you’re a bit overwhelmed on what to get, don’t worry. I have a handy list with all of the essentials for your Airbnb. 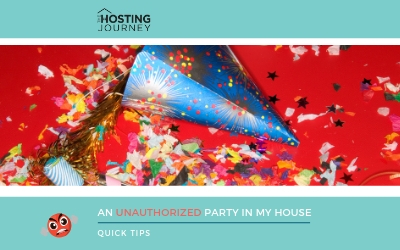 You can download it by going to TheHostingourney.com/Essentials. Yes, you’ll get to see the sheets I use at my own Airbnb, which I highly recommend. 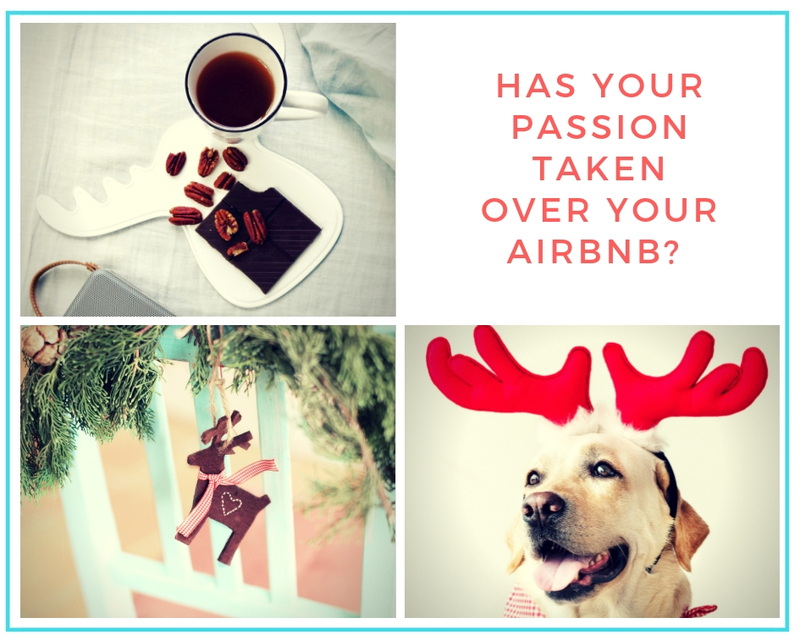 Let’s talk about your collection of reindeer holiday figurines… unless it’s Christmas, you live in the North Pole or your Airbnb is in a niche market, the reindeer have got to go. I did a presentation all about called “Riches are in the Niches” when I spoke in San Antonio. 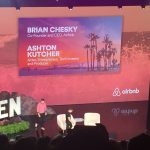 There are some Airbnb that stand out from the competition because of niching their vacation rental, but that will be an entirely new episode. There is a balance, my dear hosts. 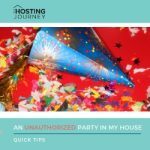 If you have a collection of something that is so vast that it has taken over every corner of your vacation rental, your guests may feel very overwhelmed. In my opinion (and experience as a guest), less is more when it comes to decor. Don’t force your taste on unsuspecting guests. Declutter and move Rudolph and his friends to your own home, so YOU can enjoy them. I’m not saying for your Airbnb to be bland or without personality, but there is a balance to it. My recommendation is for your home to have a brand, a specific look, and feel. 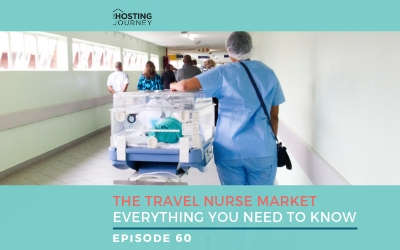 Creating this while thinking of your guest’s needs and your wallet is a balancing act. Trust me, I know, since I’m in the middle of working on my own space. Will that renovation pays itself back? Is it worth it? Yes! Before you go making big renovations, please pull out your excel sheet and look at your numbers. A seemingly simple question, like what size bed should we get, is something to think about in terms of the cost-benefit ratio. A full-size bed (sometimes called a double) fits two people, but it’s small and some guests will complain. If you can fit a queen size bed in that bedroom, I recommend going with the queen. Upgrading to a king size bed takes more consideration. Not only does it have to fit in the room, but you also want to think about the fact that everything you have to buy for it is more expensive. Your sheets, duvets, covers, etc. Plus, you will need more pillows and you will spend more time cleaning everything. Think about it. There is a difference in size between a queen and king. Whichever size you choose, you want to make sure it’s clear in your listing and make that part of your marketing. But don’t squeeze in a king size bed, which will take over the bedroom, if it means that you can’t fit anything else in the room. Think about your guest. Will they have to crawl out from the base of the bed because it’s touching every wall? How will the cleaning person even change the bedding? A queen size bed is completely acceptable for guests and even a double if that all it fits. A bedroom is part of your guest’s experience; at least, it can be. When you’re designing a brand new space or redesigning your home, I recommend creating a mood board. Go through Instagram and even Pinterest, and pull images that speak to you. Create a folder for them, save them in a document. If you’re like me, without a design bone in your body, but you have a friend who loves to design, ask them to help you. Think about night tables, lamps, curtains, rugs. 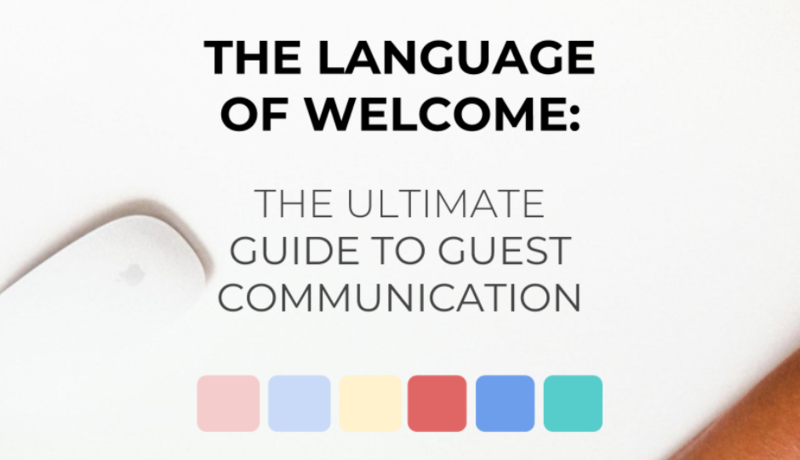 How do you want your guest to feel when they’re in that space? In that room? All cozy and comfortable, right? And like you have heard me say before, bring your own luggage and try the space like a guest. You’ll realize pretty fast if that the outlet is too far or there are no night tables. In this last consultation, the hosts had this amazing master bedroom with an en-suite bathroom. The space was massive, and the king size bed worked perfectly but because the space was so big they added a crib and a bookcase, along with mismatched furniture that diluted the look and feel of this great bedroom. I was like, please remove it. My recommendation was to get night tables, lamps, and create a reading nook with a chair with a small table next to it. These pretty easy changes will create an inviting and comfortable bedroom for their guests. I do not recommend decorating a space with mismatched furniture or things a guest won’t need. Do they want a crib in the room if they don’t have a baby? I just had to redo the bathroom floor of my shower. It was renovated only a few years ago, and unfortunately, the person who did the renovation didn’t do a great job. This is the third time I’m going back and ripping out the tiles in that shower. The first time wasn’t the contractor’s fault. He placed the fantastic shower head and mechanism where I told him to. After using it for a year I realized that even though design wise it looked better facing the glass door, in practice, it wasn’t convenient for anyone, especially guests. It was a nice design but a poor execution. The water was hitting the door, and the guests were creating a swimming pool on the bathroom floor almost every time they showered. I got a plumber and tile person, and we moved the placement of the shower. There is a closet below that bathroom, and I noticed some mildew, so we ripped the closet out trying to figure out the leak. Well, the shower pan wasn’t done correctly and the water was leaking around the edge of the tiles. This time we had to rip out the shower floor and tiles around it to do it right. The shower floor was done, and now it looks great. I had to get new tiles because I didn’t have enough to replace the entire floor. The new person doing the new floor did a great job with the shower pan, but I’m not crazy about the pitch of the floor. There is no water accumulating, but the pitch is off. Everytime I shower, I just feel off. Like I tell my construction guy, every time I’m in that shower I think of you, and not in a good way. Yes, we’re ripping the floor out…again. Hopefully, the third time's the charm. This time, I also have guests and need to work around their schedule and convenience. Always give your guests a heads up if construction will take longer than you anticipated and let them know how it will affect them. Luckily, we could still use the bathroom, and I have a second one where we can shower. Trust me, keeping your guests informed is imperative. Projects take longer than you expect, and emergencies happen. Can we say leaky roof? You need to create a bridge of communication with your guests in order to build trust, honesty, and understanding. 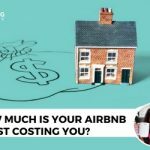 This also protects your business because Airbnb could refund your guests. Oh yeah. I’m about to release a new product, which will help you with your communication with guests, building that bridge. 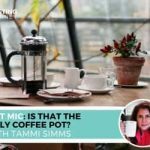 I will share the exact words I use with my guests. Per Airbnb, I have hosted over 1,982 guests so if there’s a host-to-guest scenario, I’ve lived it and written a message about it. Now, you will be able to use my words and learn my secrets. I’ll talk more about this new product and set of templates in future episodes, but if you want to take a sneak peek you can go to thehostingourney.com/guestcommunication. Renovations will continue happening. Your home is going to be used and abused by your guests. Like I have said in the past, it’s a living, breathing thing. You‘ll learn that you prefer a specific set of glasses versus another and that you definitely want and need that Ring video doorbell. And if you’re getting one, you should spend the money and get it hardwired. I learned that lesson, and I’m getting mine hardwired this winter. Yes, it’s another project in my very long honey-do list. And I am keeping my guests informed through the process, of course. 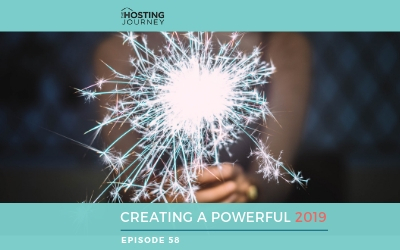 I’m here to help you navigate this hosting life by sharing my experiences so it’s easier for you and so you can learn from my mistakes. 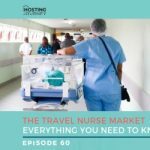 Episode 52: Numbers that Matter: Is that Welcome Basket Worth It?